My general interest in Physical and Industrial Chemistry began with my BSc (1981) and MSc (1983) degrees at the Australian National University. An enthusiasm for chemical kinetics and reaction dynamics was initiated after working with Professor John Barker at SRI International and propagated with my PhD studies at the University of Adelaide under the co-supervision of Professors Keith King and Bob Gilbert. 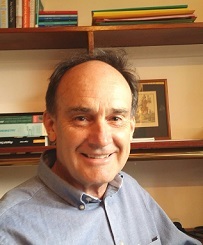 Postdoctoral research with Professor Brian Haynes at the University of Sydney resulted in an interest in the development of experimental techniques for investigating the kinetics of gas/solid processes. My independent academic career commenced in 1994 at the University of New England and since then my research interests have mainly concentrated on determining the kinetics of heterogeneous chemical processes that either have or show potential for industrial applications. Kendell S. M., Brown T. C. and Burns R. C., Accurate low-pressure kinetics for isobutane oxidation over phosphomolybdic acid and copper (II) phosphomolybdates, Catalysis Today, 131, pp. 526-532, 2008. Le Minh C. and Brown, T.C., Rate parameters from low-pressure steady-state protolytic cracking and dehydrogenation of isobutane over zeolite catalysts, Applied Catalysis A: General, 310, pp. 145-154, 2006. Bernett R. D., Mitchell A. and Brown, T. C., Hydronium ion formation during the hydrometallurgical formation of valentinite (Sb2O3), Journal of Materials Science, 39, pp. 1075-1076, 2004. Whitten A., Spackman M.A., Dittrich B., Turner P. and Brown T.C., Charge Density Analysis of Antimony Oxide Compounds, Journal of the Chemical Society, Dalton Transactions, 1, pp. 23-29, 2004. Brown T. C., Le Minh C., Toth B., Alcala-Jornod C. and Rossi M. J., Kinetic Model for Non-Sticky Collisions in Pulsed Molecular Diffusion Tube Experiments, Surface Science, 542(1-2), pp. 150-159, 2003. Sun Y. and Brown T. C., Catalytic dehydrogenation, cracking and aromatization over Ga/ZSM-5 and Zn/ZSM-5 at low pressures, International Journal of Chemical Kinetics, 34(8), pp. 467-480, 2002. Sun Y., Robson T. A. and Brown T. C., Kinetics of the Oxidative Dehydrogenation of Isobutene over Cr2O3/La2(CO3)3, Journal of Natural Gas Chemistry, 11, pp. 70-78, 2002. Li C. and Brown T. C., Carbon combustion kinetics from temperature-programmed oxidation, Carbon, 39, pp. 725-732, 2001. Sun Y. and Brown T. C., The kinetics of catalytic dehydrogenation and cracking of isobutane over HZSM-5 at low pressures, Journal of Catalysis, 194, pp. 301-308, 2000. Li C. and Brown T. C., Temperature-programmed oxidation of coke deposited by 1-octene on cracking catalysts, Energy and Fuels, 13(4), pp. 888-894, 1999.